The company said the strategic process will explore several alternatives, including selling a portion of the project. 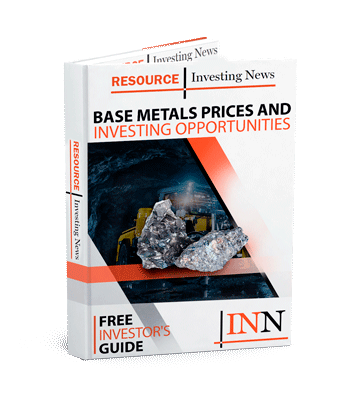 Capstone Mining (TSX:CS) has release positive results of an updated technical report for its Santo Domingo iron oxide-copper-gold (IOCG) project in Region III, Chile and has announced the start of a strategic process for the project. The company said the strategic process will explore several alternatives, including selling a portion of the project. Santo Domingo is owned 70-percent by Capstone and 30-percent by Korea Resources Corporation (KORES). The technical report updates project economics, which benefits from significantly lower power costs and several engineering changes, including the use of desalinated water in lieu of seawater; the report also includes the addition of cobalt to the mineral resources. “There is a shortage of high-quality, large scale copper projects and the completion of our updated technical report comes at an ideal time. Capstone, with the support of KORES, is commencing a strategic process for Santo Domingo which will evaluate alternatives relating to the ownership of the project. In addition, we will consider the potential for streaming opportunities given the gold reserve and cobalt resource to help finance the project. Click here to read the full Capstone Mining (TSX:CS) press release.